Russian film music label KeepMoving Records issues Eckart Seeber’s epic orchestral fantasy score for To the Ends of Time. Marking the directorial debut of former Hollywood prop master Markus Rothkranz, the film tells the story of a mystical kingdom where an evil witch takes over the control of time. Generations fade away within days and when a young lad is suddenly forced to grow up, he takes it upon himself to break the curse. Starring Tom Schultz, Christine Taylor, Joss Ackland and Sarah Douglas, To the Ends of Time is memorable for its nostalgic fantasy setting that involves giant castles, flying ships and trained animals – all achieved through practical visual effects as opposed to CGI. 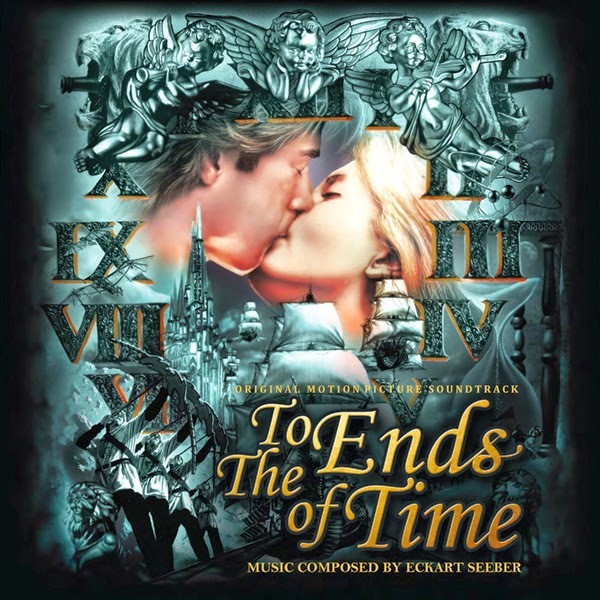 Seeber’s score for To the Ends of Time is one of the most beautiful, thematically conscious fantasy scores of the last two decades and it’s just a shame it isn’t better-known. Featuring major battle scenes with choral accompaniment and a haunting love theme for James and Princess Stephanie, the score is also characterized by a number of innovative features for fantasy elements like the magical clock that speeds up time! The album closes with Cristine Seeber’s "To the Ends of Time", played over the end creddits. The score for To the Ends of Time was recorded by the Ukrainian State Radio and Television Symphony Orchestra and Chorus under the direction of conductor Vladimir Sirenko. This one "Just Announced"... it's glorious and a wonderful treat from composer "Eckart Seeber" and the great label "KeepMoving Records"!